Thank you to everyone who’s followed the progress of this blog. I wish it hadn’t come to this, but because I have run out of storage space and am not willing to pay for the upgraded account, I have decided to start an entirely new blog to continue writing about my travels, and will be discontinuing the use of this blog. Hello everyone! I’ve returned from my latest trip abroad, and I have so many things I’d like to write about and anecdotes I’d love to share, but it will have to wait for now. I’ve run out of storage space for photos on this website, which means I may delete some photos from older posts, or I might move this blog to a new platform. I haven’t decided yet. 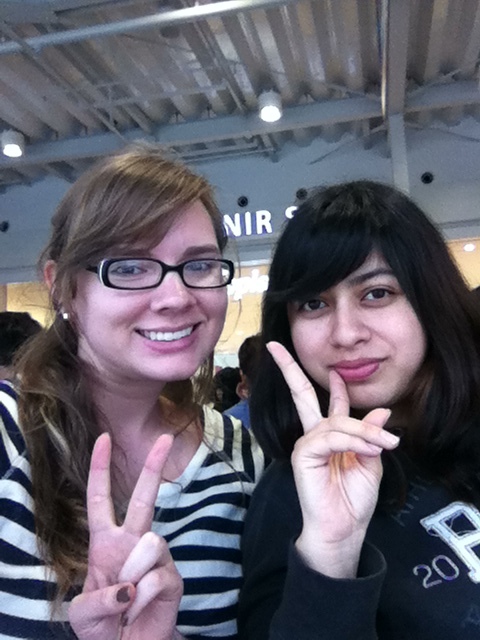 It’s been almost a year since I returned from Japan. I’ve tried to share as much of my adventures here as I can, and written about some amazing places. But wanderlust is not easily satisfied and I’m excited to be setting out for new destinations once more. Two weeks from now, I will be in London, the start of a journey that will take me from England, to Ireland, to France, and finally Germany. I’m excited to become acquainted with these countries, especially since I’ve never been to Europe aside from a visit to Italy when I was too young to remember. Of course, I will be taking lots of photos with my new camera (a Sony Alpha a5000), and will probably be bringing along my old camera, so that I can later write about my experiences to share with you all. But in the meantime, I will try to upload photos via my iphone onto my tumblr: http://www.trippingandtraveling.tumblr.com throughout my journey (as long as I have reliable access to wifi, of course). On to the next great adventure! 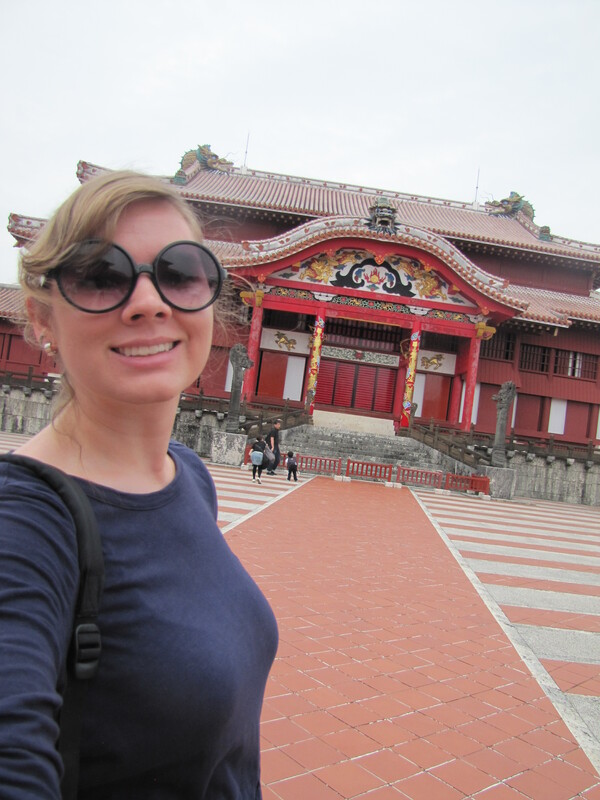 Our second full day in Okinawa began with a visit to Shuri Castle, the palace of the Ryuukyuu Kingdom. It’s been around since at least the 1300s, but was destroyed during the Battle of Okinawa in 1945. They began reconstruction in 1992, and now it’s a popular tourist spot. Our first day in Okinawa was spent in paradise. 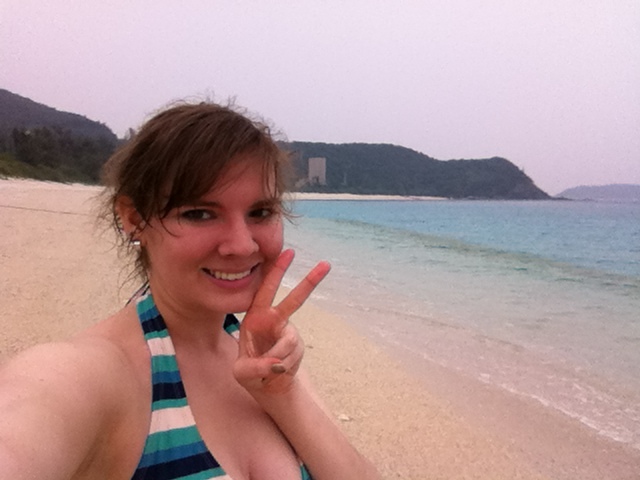 More specifically, it was spent on Zamami Island, one of the smaller islands surrounding Okinawa. A group of us decided to take a trip to Okinawa during Golden Week (a period in Japan with several holidays one after another), because we had school off those days. But, we made a mistake and thought Golden Week was a week earlier than it actually was. (Well, in my defense, I wasn’t the one planning the trip. I only belatedly found out they’d booked the trip during school days and was able to get righteously angry.) But the flights were booked, the hotel was booked, nothing for it except to play hooky! I’ve begun making preparations for my trip to Europe this summer–I officially bought my departure plane ticket for London, and I plan to start booking hostels and inner-Europe transportation this week. Coincidentally, I was reading through Marie Claire magazine today and found an interview with Michael Kors where he discusses travel and vacations. While most of what he had to say was not so relevant to me (I don’t have the need for or the budget to pack 5 pairs of high end shoes), he did end with a line that I thought was really great. I think when planning a trip, you need to ask: Are you challenging yourself, your eye, and your experience of the world? I will definitely keep this advice in mind as I plan the rest of my trip. It’s easy to stick to the beaten path and see all of the typical tourist sights (and I do plan to do at least a little of that! How could I leave Paris without seeing the Eiffel Tower? ), but at the same time, I’d like to do some digging to find some places that don’t fit the typical tourist itinerary. If anyone has suggestions for cool and interesting places, let me know! I plan to visit London, Belfast, Paris, and Berlin!